Beautiful afternoons in Autumn in Austin, Texas, are the norm. 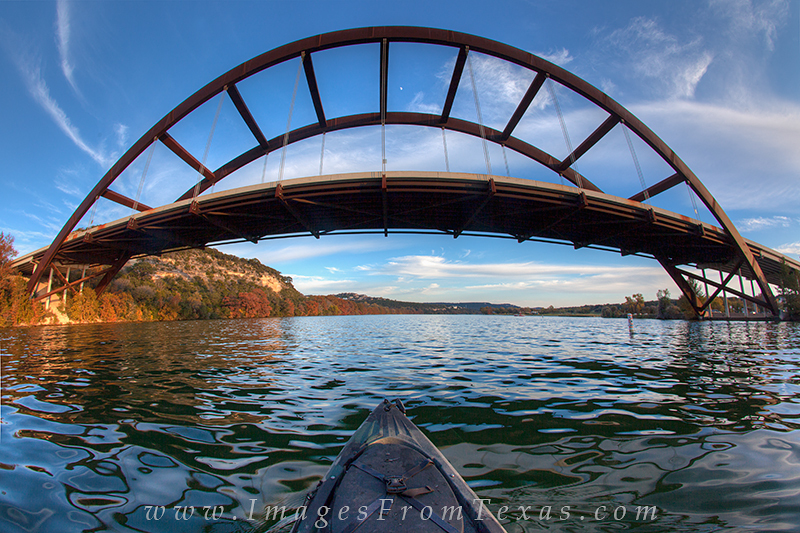 This image was taken in November while on a kayak underneath the 360 Bridge. I used a 15mm fisheye lens to capture the width of the bridge. I also have a panorama of this same scene. Photo © copyright by Rob Greebon.